… that they (Earhart and Noonan) were removed by the Japanese, who either removed or destroyed their plane, that they were taken to Saipan, where they died sometime before the end of 1937, and that the U.S. Government knew about their fate, but for reasons of foreign relations and military secrecy, were not able to make that information public. I just finished reading your book on Amelia Earhart. I started the book with a good deal of skepticism, but now that I have finished it I find that I share your conviction that this whole matter must be clarified and honor rendered to those to whom it is due. The letter marks the beginning of an association and friendship between Goerner and Hooven that lasted until Hooven’s death in 1985. Had Fred Hooven lived to learn what TIGHAR has learned from documents, artifacts and anecdotes that have come to light since his death, his opinion about the least bizarre explanation may have changed – or perhaps not. In any event his 1982 paper stands out as some of the best Earhart research produced up to that time. We present it here as a tribute to a fine gentlemen and true aviation pioneer we regretfully never had a chance to meet. Frederick J. Hooven was born in Dayton, Ohio in 1905. When he was 5 years old he met Orville Wright and by age 15 was a regular visitor to the Wrights’ Dayton laboratory. He graduated from MIT in 1927 and went to work for General Motors as an engineer and inventor. In 1935 he became Vice President and Chief Engineer of the Radio Products Division of Bendix Aviation Corp. where he developed the Hooven Radio Compass, later known (and still known) as the Automatic Direction Finder or ADF, and installed one of the protoype units in Earhart’s Electra in 1936. By the time of his death he held 53 patents in fields as diverse as avionics, bombsights, automotive ignition and suspension systems, photographic typesetting, and medical technology. In 1986 he was posthumously awarded the Robert Fletcher Award for “distinguished achievement and service” by the Thayer School of Engineering, Dartmouth College. 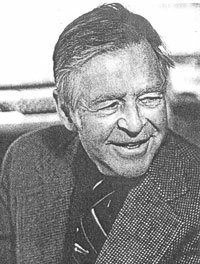 This account owes its entire existence to Frederick Allan Goerner, author of The Search for Amelia Earhart. The documentation on which it is based constitutes the most complete collection in existence on the subject of Miss Earhart’s last flight and the subsequent search for her and Fred Noonan, her navigator, and it was all collected by Goerner. There are official reports and documents, letters, interviews, questionnaires, radio logs, photographs, maps and techcial [sic] memoranda, he has them all. Gathered largely since the publication of his book in 1966, this material has been made available to me in its entirety. While the accompanying conclusions are entirely mine, and not necessarily shared by Goerner, they owe much to the lively discussion that has gone on between us since our acquaintance began 15 years ago. It has been a source of abiding interest and satisfaction for me, and I am deeply grateful to him for having made it all possible. Before Miss Earhart took off on her Round-the-World flight she removed from her plane a modern radio compass that had been installed and replaced it with an older, lighter-weight model of much less capability. I am the engineer who had invented and developed the radio compass that was removed, and I discussed its features with Miss Earhart before the installation was made. I have reason to believe that it was the failure of her radio direction-finder to do what the more modern model could have done that caused her to be lost. The story is told herein, and it is plain to see why I have been so very much interested in the subject. I met Miss Earhart for lunch at Wright Field in the summer of 1936. She was accompanied by a younger woman flyer, quite unknown at the time, Jacqueline Cochran. Although she moved in a man’s world, and wore men’s trousers and wore a short haircut, there was nothing masculine about Miss Earhart. Every inch a lady, she was gracious and quiet-spoken, thoroughly feminine and attractive. Too much time has elapsed for me to remember when it was that I learned that my device was not on the Earhart plane when it was lost, or even whether it was before or after the takeoff that I learned. But I have been possessed by the desire to know what did happen, and by the wish that things had happened differently. In the course of her West-to-East flight around the world, Amelia Earhart and her navigator, Fred Noonan, departed Lae, New Guinea, in her Lockheed Electra “Flying Laboratory” bound for Howland Island, a tiny dot 2626 miles East by North. Awaiting her there was the U. S. Coast Guard Cutter Itasca with a crew to service her plane and instructions to provide radio guidance and communication, for Howland was too small a target for a navigator to hit without the aid of a radio direction finder tuned to a guidance station at the island. The Itasca was equipped with such a station and the plane carried a direction-finder on board. It was July 2, 1937. Howland wasn’t the ideal spot for a round-the-world flight, but it was U.S. territory and it had a runway. At that time Japan had a mandate from the League of Nations for the Marshalls, the Mariannas and the Caroline Islands and had lately closed all this territory to the rest of the world, being known to be fortifying them in preparation for future military actions, as events later proved. The military were firmly in power in Japan then, and they were alarmed by the news of the projected Earhart flight, suspecting every move as a possible effort at espionage. As a result, Japanese “fishing boats” were positioned along the course, observing the flight. The United States, in the grip of a deep depression and growing isolationism, had no stomach for any warlike moves, and save for the Itasca, the ancient coalburning tug Ontario stationed between Lae and Howland and the mine sweeper Swan between Howland and Hawaii, no U.S. ship was nearer than Hawaii. The story of the last flight of Amelia Earhart, of her disappearance and the subsequent search, is a story of radio messages and the functioning, or rather the non-functioning, of radio direction-finders, so we must diverge long enough to set forth some of the state of those arts in 1937. Short-wave, or high-frequency radio was beginning to be used, although what was called high-frequency then we would not call that now. The Earhart Electra was equipped to transmit on 500 kilocycles, 3105 kilocycles and 6210 kilocycles. The transmitter was capable of operating on both voice and Morse code, but Miss Earhart had left her morse code key behind,1 and neither she nor Noonan had any knowledge of radio, nor anything beyond the most rudimentary abilities as Morse code operators. Miss Earhart’s direction finder consisted of her all-wave receiver, connected to a directional antenna, a loop. The loop, shown in a slight turned position atop the cockpit of the Earhart Lockheed in Fig. 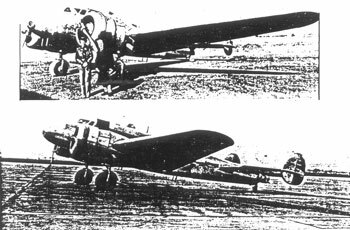 1, [right] is normally carried in alignment with the span of the wings. If the plane is flown in a circle with the receiver tuned to a station to the north of the plane, the signals will come in loudest when the plane is headed east or west, and they will disappear entirely when the plane is headed north or south. This act of turning the plane (or just turning the loop) to find where the signals disappear is called “taking a minimum” or “taking a bearing”. Notice that with this system the plane has no way to tell whether the station is to the north or to the south after the bearing has been taken. It was this shortcoming of the basic loop-type direction finder that was probably the cause of the Earhart flight’s failure to reach its destination. Caption to Figure 1: The Earhart Lockheed with the old-fashioned open loop, slightly turned, over the cockpit. If you were flying over the Pacific ocean, and tuned in a station in San Francisco, you would not be in doubt which way to go to reach the station, but if you tuned in a station on a very small island, and found it was either north or south of the plane, you would have no way to tell which way to turn to reach the island. Miss Earhart had announced prior to her flight that she would transmit on a regular schedule, but would use her receiver only for direction finding. Loop antennas, however, do not function for direction finding much above 1500 kc. so her loop was not designed to operate above 1500 kc. Her transmitter operated during the flight, using its own separate antenna, on 3105 and 6210 kc. and she was receiving on these frequencies, not realizing that her loop antenna would not respond to those signals unless they were very strong, and that it would not operate as a direction finder. As a consequence, Miss Earhart was not able to hear any of the signals from the Itasca until she was nearest to it, toward the end of her flight, and then announced that she was unable to get a minimum. Although there were both high- and low-frequency direction finders operating at Howland island that day, they were both, as we will see, frustrated in taking a bearing on the plane’s signals. A much improved type of radio direction finder had recently been developed and Miss Earhart had had one of them installed on her plane, but had removed it to save its extra weight of about 30 lb., the weight of five gallons of fuel. The improved device was then called a radio compass, although it was later automated and was called the “adf”. It incorporated a superheterodyne receiver of the highest sensitivity, and receivers then were just as sensitive as the best receivers are today. It used a regular antenna in addition to its loop, so that the operator always heard the signal that was being tracked. Most importantly the combination of loop and antenna made it possible to provide a visual left-right indicator that gave a single, unambiguous direction for the signal. The improved sensitivity made it possible to use a much smaller loop than the older device, and in Fig. 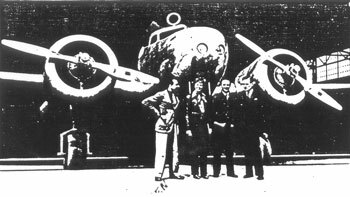 2 [left] may be seen the smaller, streamlined housing of the newer loop as it appeared when installed on the Earhart plane in October, 1936. Miss Earhart did not realize that this streamlined loop reduced air resistance to an extent that would have saved several times the five gallons of fuel that she had added by removing the radio compass and replacing it with the older device. Something else than weight was undoubtedly a factor in this change. Miss Earhart did not wish to share the credit for her flights with any man, and it was with reluctance that she consented to bring along a navigator at all. But the radio compass had been installed in the navigation compartment and it was to be operated by Noonan. When the installation was made of the older type direction finder, she made sure it would be in the cockpit where only she could operate it, and that the loop would also be directly over the cockpit. Caption to Figure 2: The Lockheed in two views, showing the small, streamlined housing of the loop over the navigator’s compartment. Miss Earhart was furthermore the product of the age of “seat-of-the-pants” piloting, when any self-respecting pilot felt that the use of any instrument was a reflection on his piloting ability. She had only recently, during her current round-the-world flight, ignored the advice of her navigator and made a considerable navigation error. Crossing the Atlantic, heading for Dakar, Noonan had advised her to turn south, as she was north of her course. She nevertheless turned north, and landed 165 miles off course in St. Louis, Senegal. Fred Noonan was a first-class navigator in the classical sense. He could take positions from observations of the sun and stars, and had developed ingenuous [sic] methods for working out these observations in a short time, to accomodate [sic] to the high speed of aircraft. However, for the flight, he was confined to the rear of the plane’s passenger compartment, the entire front part of which was completely occupied by tanks. He had no view of the sky except that available through a small window in the side of the compartment. There was no communication between the navigator and pilot except a long stick with a notch in the end which could be used for passing notes along the narrow space between the tanks and the fuselage wall. There were at the time radio direction finders that would operate on the “high” frequencies – which for this purpose meant anything higher than 1500 kilocycles – but they were extremely cumbersome because of the large dimensions of the antenna required. They also required minute tuning adjustments and a considerable amount of time to make a reading, but given sufficient time they were able to resolve a reading into a single direction instead of the undifferentiated two that were characteristics of the loop type direction finder installed on the plane. An experimental df of this kind had been brought to Howland aboard the Itasca and was set up on the island prior to the flight. There were also three high-frequency df stations operating on Oahu (Hawaii), Midway and Wake islands as part of Pan American Airways recently inaugurated trans-Pacific service. Commander Warner Thompson of the Itasca was not in favor of the setting up of the high-frequency df on the island, and hastened to disclaim any responsibility for it.2 Direction-finders were highly secret then, and the Navy had been using them to monitor the operations of the Japanese in the mandated islands, which of course they did not wish to be known. The Department of the Interior had responsibility for Howland Island, and its representative, Richard B. Black,3 who was aboard the Itasca with a party, had been the one who had somehow persuaded the Navy to provide an experimental model of high-frequency df to aid in the navigation of the Earhart plane. However, Miss Earhart had not been informed of its presence because of the uncertainty of its operation, and no mention had been made to her of the possibility of bearings being taken of her signals at Howland on any other frequency than 500 kilocycles using the Itasca’s regular loop-type df. Black had been designated as the official representative on board of George Palmer Putnam, Miss Earhart’s husband and promotor[sic], and messages were arriving from him to Miss Earhart, impressing on her the importance of reaching the mainland by July 4th, and of meeting various commitments for appearances that he had made for her. Thompson found himself taking orders from everybody, his superiors in San Francisco, who kept up a steady barrage of complaints that his radio operators were not behaving according to protocol, the US Navy, and now Black. He had not been able to get in direct communication with Miss Earhart; the channels of communication were indirect and uncertain, and he never did get an acknowledgement from her of any of the information that he sent. He received conflicting communications from her and her husband which did not deal satisfactorily with the question of a schedule of transmission and reception for communication and direction finding, the services that he was responsible for. The Itasca was the only available relay point for countless messages from the mainland to Miss Earhart in Lae, and Thompson finally told San Francisco to lay off and give his inexperienced radio operators a chance to do their work. The Itasca weather report: “Clear, calm, wind east 8 mph. Visibility unlimited”t was broadcast on phone and in code, along with appeals for the plane to report its position and time of arrival, that its signals were being received, and please to acknowledge the Itasca’s signals. But the df on Howland could not get a bearing on the brief signal, sent on 3105 kilocycles, and the Itasca could take bearings only on 500 kc. It repeated its requests to transmit on 500, and to acknowledge the receipt of its signals. Again the transmission was terminated before the df on Howland could do its work, and again the Itasca repeated its appeals for acknowledgement and to transmit on 500 kc. Once more the signals were too brief to allow the df on Howland to do its work. The plane’s signals were by this time strong, but still too brief to operate the Howland df. and still on 3105 kc. 1930 “KHAQQ calling Itasca. We received your signals but unable to get a minimum. Please take bearing on us and answer on 3105 with voice.” Then long dashes for 5 seconds. Howland again reported it was unable to take bearings. The Itasca continued to plead for transmission on 500 kilocycles so it could obtain a bearing. The meaning of the term “line of position” is that some kind of navigation reference, either a radio direction-finder bearing or a shot of the sun made it possible for the navigator to compute that the plane was somewhere along a line passing 157 and 337 degrees through Howland, but that it was not possible to determine whether the plane was north or south of Howland. 157-337 is a line going North-northwest and South-southeast. Commander Thompson reasoned that if the plane were down it was most likely to the North of Howland. There had been clouds to the north, while the weather was clear to the south. Reasoning that the plane must have been in overcast weather, and that it would surely have seen Baker Island, 40 miles south of Howland, if it had been to the south, he set off at once to the NNW along the position line. He was assured that the plane’s large fuel tanks, when empty, had more than enough flotation to insure that it would remain afloat if it had landed in the water without crashing. There was Baker Island to the south of Howland, where there was a party with a radio receiver and a small transmitter, and then 340 miles to the SSE was McKean Island, even smaller than Baker or Howland, the nearest of the Phoenix group, a scattered group of islands, the largest of which was only about eight square miles in area. About half way between Howland and McKean, and like McKean also very close to the “Position line” of Miss Earhart’s last message, was a reef called Winslow. Since a reef is anything less than 6 fathoms of water in depth, there was uncertainty as to whether any dry land existed in that location. Commander Thompson’s decision to go north was the best one under the circumstances, since there was no land at all in that direction, and it was thus certain that if the plane were down anywhere to the north of Howland, it must be in the water, whereas if it were to the south, there was some possibility it had found land. Being the only US vessel anywhere near the scene, Thompson was the only possible rescuer, and the responsibility was heavy on him. He was soon ordered back to Howland to meet a plane that had been dispatched from Hawaii to aid the search, but no sooner had he returned than word was received9 that the plane had turned back because of weather. Then a series of wild-goose chases, based on various reported messages from the flyers. Fragments of messages were assembled with imagined words to form messages that were sent to the Itasca as a possible location of the downed plane. Messages were heard by government radios, private radios, commercial radios, and all were passed along. Signals purporting to be from the downed flyers were most numerous on the three days following the flight, July 3,4, and 5. GMT. 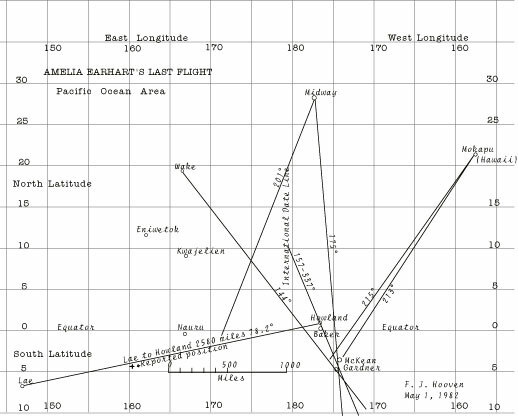 The three Pan American 5 df stations had taken four bearings on such signals and three of them had intersected in an area SSE from Howland, and the df on Howland had finally gotten a bearing on the signal that was also SSE,3 all of these corresponding with the “157-337 line” of Miss Earhart’s last message. Putnam had immediately requested a search of this region. The battleship Colorado had set out from Hawaii July 3, and her commander Capt. Wilhelm L. Friedell, had beaded toward the Winslow-Phoenix area for reasons of his own. He had consulted people who were acquainted with Noonan and his methods and they had agreed that if he found himself on a line of 157-337 through Howland, not knowing which way to turn to get to Howland, Noonan would head south, where he would find land even if he were already south of Howland. and not go north where there was no land at all. Capt Friedell6,7 was confident that he would find the downed flyers on Winslow or somewhere in the Phoenix group. The Itasca was then transferred to the 14th Naval District Command and became a Navy ship for the duration of the search. After he arrived on the scene the Colorado’s master took charge of the operation and the monkey was finally off Thompson’s back. The Colorado carried four seaplanes which searched the Winslow region without finding any evidence of a reef there. After the Itasca was refuelled the planes searched the Phoenix group without finding any evidence of the flyers. There were many reports of “weak carriers” (signals) on 3105 kc. of which no intelligence could be distinguished. There were excited reports from many places when the “March of Time” reenacted an imagined rescue on the broadcast radio. There were doubtless, as the Navy contended, false broadcasts by “cranks”t. It is difficult to sort out the total of these reports and it would serve no useful purpose to do so. We have however, appended a listing of those reports of signals for which there was strong reason to identify with KHAQQ, either by the signal itself or by the direction-finder bearings that placed them in the Phoenix area where there were no other transmitters except the Japanese or the flyers themselves. Fred Goerner in The Search for Amelia Earhart10 presents persuasive evidence that Miss Earhart, or a white woman of similar description, was held captive on Saipan and died there in late 1937. He also makes it clear that the armed services were evasive about questions concerning what they found on Saipan when the US forces took over. Accepting Goerner’s testimony that there was much official secrecy surrounding the facts of the Earhart history, what is it that is being concealed? And why is it still being concealed 45 years after it all happened? There are many conjectures, but there are still no answers. We will conclude with another conjecture, a hypothetical reconstruction of the events that followed the final message from the plane, and what existing evidence indicates happened to the flyers. Before taking off on her fateful round-the-world flight Miss Earhart had announced that she did not intend to use her radio receiver for communication, that she would broadcast her position on the quarter and three quarter hour, reserving her receiver for direction-finding purposes. From this it can be concluded that her receiver was connected only to the loop antenna and that she did not realize that the loop would be substantially useless at frequencies above 1500 kc, either as a loop or as an antenna. Thus it was that she did not hear the Itasca’s signals until she was closest to Howland, at which time she finally reported hearing the signals but that she could not get a minimum. Forty five minutes later came the final signal reporting the “position line” of 157-337. People have wondered why Noonan gave no reference point for the line, but they forget the crude state of communications between him and his pilot. On the other hand, it is very possible that this line is not a sun line at all, but a radio direction-finder line. Miss Earhart had reported that she was flying at 1000 feet, and there would be no reason she would be that low other than low clouds, since the higher she was able to fly the more likely they would be to catch sight of their destination in clear weather. But with low clouds there would have been no chance to shoot the sun. On the other hand it is highly probable that Miss Earhart finally heard the Itasca’s pleas for her to transmit on 500 kc since it was not possible to take bearings on 3105, so she may finally have switched her receiver to 500 kc and have taken a radio bearing. Since the 157-337 line is one that passes both through the Phoenix group and Howland, it may also have been that Noonan advised her to go east until she made such a bearing, then turn and fly along that line. Unfortunately the direction finder was unable to tell which direction to turn to go toward Howland due to the ambiguity of its loop signal. If they were north of the island, a northward turn would have taken them over the open sea, while a southward turn would either take them to Howland, or to the Winslow reef if they were south of Howland, so they turned south and flew along the 157-337 line. As we now know, but was not known then, there is no land in the Winslow reef area, and the plane saw no land until it was 300 miles south of Howland, at which time McKean island would have probably been the first landfall, although it could have been Gardner. We assume the plane landed on whichever island it was and that it transmitted during the next three days the signals that were so widely reported. We do not know how far south of Howland the plane was when the position line was fixed, but from its presumed altitude of 1000 feet Baker island should have been visible from almost 40 miles away, and since Baker was 40 miles from Howland, so the plane must have been at least 80 miles south of Howland. It is known that the headwinds the plane encountered were mainly from the east, shifting to the NE by E as the plane approached Howland. Averaging 30 mph. the winds would not have had to have much of a southerly component to have drifted the plane 80 miles south of its plotted course during the 20 hours of its flight, without its occupants having any way to know that. Estimating that the plane was 90 miles south of Howland at the time of the last message, at 2014-16, it would have had about 90 minutes of flying time to McKean Island. Its fuel supply at that time was at least 3 3/4 hours of flying time. If the plane did land at McKean or Gardner the signals that were heard came from there, and the least bizarre explanation of the Navy’s failure to find them there is that they were abducted by the Japanese, some time before the 9th of July when the Colorado search planes arrived. Their plane was then either hoisted aboard or dumped into the ocean. We assume therfore [sic], as was assumed by Fred Goerner in his book The Search for Amelia Earhart that Miss Earhart was taken to Saipan for a period following the time of the Earhart flight, and that she died there some time during the fall of 1937. There is also evidence, although less persuasive, that a man of Noonan’s description was also held at the time. What is the explanation of all the military secrecy and official reticence on the subject of the Earhart flight? Goerner believed at the time Search was written that Miss Earhart was engaged in a secret spy mission, but in the light of what has been learned since Search was written this now seems unlikely. It does not seem possible that if Miss Earhart were engaged on an important government mission the Navy and the Coast Guard would have been so completely uninformed about her plans and equipment, nor would she have been allowed to set forth so ill-equipped, so uninformed concerning her equipment, or with so unfortunate an arrangement with her navigator. The distance from Lae to Howland via Eniwetok is 3015 miles, and via Kwajalein is 3266 miles, either of which would have been a hazardous journey with 1100 gallons of fuel, with quite inadequate reserves against headwinds and navigation errors. Had she taken one or the other of those routes she would have passed over the critical areas at night when nothing would have been visible from the air. Furthermore we have unquestioned evidence that she transmitted regularly on her radio, as she had said she would, which would have been a complete giveaway had she tried to fly over Japanese-mandated territory. The one position that she did give was dead on course, so one has to conclude that either that position was the result of some sort of dead reckoning rather than any astronomical observation, and in error, or that the plane was on course at some time before 0720. Headwinds were known to be present and in the Howland area they were of the magnitude that would account for the time of flight actually estimated, so we conclude that the airplane stayed on course and was delayed by headwinds. We do not know how successful the Navy program of surveillance of the Japanese activities in the Pacific was. We may presume, however, that the most sophisticated radio equipment was brought to bear in the monitoring of Japanese ship movements and eavesdropping on their communications. It is entirely reasonable to suppose that these activities did in fact convey the knowledge, or at least a strong presumption of a Japanese abduction of the flyers. What could the Navy have done, other than what it did, in the event that it did know about the abduction? It had no way to get the flyers back without an act of war, and to reveal their fate would reveal the source of that information without helping the flyers, while playing hob with US-Japanese relations and Navy secrecy. No assumption accounts better for the otherwise incomprehensible secrecy that has surrounded the Earhart search and its history since it all happened. If the official explanation is indeed the true one, what is being held secret? The official explanation, as we have already noted, has several crucial weaknesses. Not the least of them is the preposterous idea that Amelia Earhart “became hysterical and spun her ship into the ocean” Miss Earhart was a skillful and experienced pilot, with a superb airplane, and it is simply not possible to suppose that she committed such an amateurish and irresponsible act. She had nearly 4 hours of fuel left in her tanks, and it is equally out of the question to suppose that she had so mismanaged her engines as to run out of fuel nearly 4 hours early. Even if she had for some reason gone down before her fuel was exhausted, her machine would have floated like a corked bottle, with 1200 gallons of tanks providing flotation of 9600 lbs., more than the empty weight of the machine by almost 3000 lbs. The plane’s last message, “We are flying on a line of position 157-337, We are flying north and south” showed that they were going either toward Howland or away from it along a line that passes through the Phoenix group. Unless they were so misguided as to fly northward away from Howland, they must have been flying southward toward the Phoenix group. It is more reasonable to suppose that they reached the Phoenix group than to suppose they did not. Finally, the official assertion that all the reports of radio reception from the downed plane are false is simply not credible. Two reports from dependable sources reported hearing Miss Earhart’s voice after the end of the flight. One of these sources was the group of amateurs who had submitted their report to the Federal Communications Commission. Far from being a group of irresponsible “cranks” as the official report implied, this was a serious group of scientists, engineers and businessmen who had the best, state-of-the-art equipment. The other source was the radio operator at Nauru, who had heard Miss Earhart’s signals during her flight and had heard “the same voice” on the same frequency the following night after the flight had ended. Most undeniable, however, is the evidence of the radio direction finders. There were four of them, three Pan-American, on Oahu, Midway and Wake, plus the instrument that had been supplied by the Navy to the Department of Commerce for installation on Howland Island. Five bearings were taken on the weak, wavering signal reported on the frequency used by the Earhart plane, and four of them, plus the 157-337 position line of the last message all intersected in the general area of the Phoenix group. This constitutes positive evidence of the presence of a transmitter in that area which could only have been that of the downed plane. No hypothesus [sic] purporting to explain the events of the last flight can be credited that does not offer a plausible explanation of these signals, and why they originated along the plane’s announced position line at the only location, except for Baker and Howland, where there was land. Whatever is finally learned about Miss Earhart’s last flight, one certainty will always remain, that it was a needless tragedy. It was tragedy that Miss Earhart could find no man, except for the Lockheed engineers whose instructions and advice had served her well, whom she could trust to give her disinterested technical advice. All the suppliers of her equipment were all too obviously mainly concerned with the publicity that her use of their equipment would give them. Nobody could give her expert advice who did not have an axe to grind. The most tragic aspect of the flight involves Miss Earhart’s own husband, George Palmer Putnam, who promoted the flight in the first place. It was his responsibility to see that the flight was properly administered, that Miss Earhart had the best equipment and the proper instruction in its use, that the best possible logistic arrangements had been made, and above all that the most complete provisions possible had been made for the safety of the flight, and for the organization of rescue operations, especially for the hazardous over-water flights. Putnam failed completely to discharge these responsibilities to his wife that he had incurred when he promoted the flight. He left important management details up to her to take care of as the flight progressed, and did not sufficiently fund the support operations that were required. He consistently showed interest only in the promotional aspects of the flight and his last messages to her were exhortations to her to reach the United States by July Fourth in order to meet appearance commitments he had made for her. The evidence strongly supports the hypothesis that has been presented here, that the flyers landed in the Phoenix area, probably on McKean or Gardner, that they transmitted signals from there during the next three days, that they were removed by the Japanese, who either removed or destroyed their plane, that they were taken to Saipan, where they died sometime before the end of 1937, and that the U.S. Government knew about their fate, but for reasons of foreign relations and military secrecy were notable to make that knowledge public. We hope that one day records will be found or released that will reveal the truth about the fate of the flyers. Meanwhile the memory of a brave and gracious lady remains bright after forty five years. 1 Gurr, Joseph H., Letter to Frederick A. Goerner, May 3, 1982. Gurr inspected and tested Miss Earhart’s radio equipment following the accident in Hawaii on the ill-fated East-to-West trip. 2 Thompson, W. K., Excerpts from the radio log of the Itasca, covering the period preceding and following the Earhart flight. July 19, 1937. Much of the story of the flight is contained in these excerpts in strictly chronological order, and buried in a maze of minuteae [sic] of radio communications. 3 Black, Richard C. (Admiral USNR) “Report of the 10th Cruise to the Equatorial Islands, Jarvis, Howland and Baker.” undated. This account also covers the events before and after the flight in chronological order, as seen from a different standpoint, and covering much more of the operations that went on ashore at Howland and Baker than are covered by the Itasca log excerpts, plus records of Itasca transmissions during the flight. 4 Report to the Civil Aviation Board, Territory of New Guinea, November 26, 1937. The Lae superintendent of operations describes the services to Miss Earhart’s plane and gives a detailed description of the takeoff, mentioning that the pilots who witnessed it were loud in their praise of Miss Earhart’s handling of a difficult, overloaded takeoff. 5 Pan American Airways, 3 reports to the Division Superintendent of Communications by the Section Supervisor, Honolulu, Operator-in-charge at Midway Island, and Operator-in-charge, Wake Island. July 10, 1937. These are detailed accounts by the operators concerned of the logging of the “weak, wobbly carrier” (signal) that was heard by so many different operators and the obtaining of direction-finder bearings on this signal by three different stations. Pan American had these mid-Pacific stations to service the Clipper flights of that time, the first transpacific passenger service. 6 Friedell, Wilhelm L., “Report of Commanding Officer, USS Colorado to Commandant, 14th Naval District. Subject Earhart Search. July 13, 1937.” Capt. Friedell has written a literate and well-organized account of the Colorado search activities. 7 Lambrecht, Lt. J. 0., Weekly News Letter to Commanding Officer from the Senior Aviator, USS Colorado. A further account of the search by one of the flying officers involved. The interesting, literate style of this Newsletter has suggested that perhaps the Friedell report (6) was also written by Lt. Lambrecht. 8 Pierson, Karl E.; McMenamy, Walter B.; Messier, H. Loring; Langrick, Paul D.; and Rypinski, Robert B. Report to the FCC on signals heard from KHAQQ during period July 3-9, 1937. This group of serious amateurs some of whom bad previously been assigned to monitor Miss Earhart’s signals, and who were familiar with her voice, reported that they had heard her voice on numerous of these signals. They reported having heard the signals giving 4 long dashes after an appeal broadcast from a Hawaiian broadcast station. The sound was described as “decreasing in intensity, ending in a sputtering sound.” This is exactly how a transmitter would sound operating on a battery that had been exhausted, which was being charged by a running engine. The transmitter draws more current from the battery than the charging generator puts in, so that the battery gets a slight charge between signals, but quickly runs down when the transmitter is operating. Doyle, Albert M., (US Consul in Sydney, Australia) Letter to State Department recounting the search of SS Moorby for the Earhart plane. The letter also recounts the watch of the Moorby radio operator for the signals from the plane. He reports the same “Strong, unmodulated carrier” that was reported by the Pan-Am reports and by the receiver on Howland. Both Pan-Am and Howland df stations took bearings on that signal which placed it also in the Phoenix area. Since there were no inhabitants there the only explanation of its presence there is that it came from a Japanese ship and was intended to jam the signals from the flyers. 10 Goerner, Frederick Allan, The Search for Amelia Earhart, Doubleday, New York, 1966. At the time the book was written it appeared that Miss Earhart was engaged in a spy mission for the US over the Japanese mandates. Extensive data gathered by Goerner (who gathered all the data in the present instance) since that time has made it clear that Miss Earhart was not on a spy mission, but has only deepened the mystery over the excessive secrecy surrounding some aspects of the case. 11 Lt. W. B. Short (Aviator aboard the Colorado) wrote an engaging history of the Colorado’s search, from the standpoint of one of-the participants, in letters to his father, dated from July 5 but mailed July 22. 12 U.S.Treasury Department, Coast Guard. Letter from Commander, San Francisco Division to Commander, Hawaii Section, Reference Pan-American Airways Report of Proposed Rescue Plans, signed Stanley V. Parker. This letter is perhaps the most compact single statement of the official position on the Earhart Search, written to rebut criticism of the Coast Guard and Navy’s roles in the Earhart rescue. The letter contains several misstatements, such as, “Miss Earhart was specifically warned not to use the high frequencies for direction-finding purposes, and to confine all attempts at direction finding to the intermediate frequencies.” In fact the Coast Guard had not been able to get in touch with Miss Earhart directly, and the only such warnings given to Miss Earhart were over the Itasca’s transmitter during the flight, when it was clear that she was not receiving their signals. “The Coast Guard was not asked to take bearings on the airplane –” In fact Miss Earhart repeatedly asked the Itasca to take bearings on her signals, but did not transmit on the frequency on which they were able to do so. “Definite schedules had been arranged as to times and frequencies for use between the Itasca and the plane,–” This was not true, it had not been possible to reach Miss Earhart directly for that purpose. “Neither the Coast Guard nor the Navy had been expected to arrange a search for the plane.” This is a cop-out. The Navy should certainly have known that if the plane was lost the Navy would be asked to conduct a search, and should have been prepared to act much more quickly than it did. “Not one of the amateur reports received during the Earhart search was accurate, and all reports of signals received from the Earhart plane were definitely known to be false, as the San Francisco Division had a continuous watch at three separate locations guarding 3105 and 6210 kc. using beam receiving antennae, with better equipmt than is available to the amateurs, and no signals were heard other than those of the Itasca on 3105 kc.” In fact, The Itasca radio log reports numerous instances of the signals having been-heard, by Howland, by the San Francisco Division, by Nauru, by Wailupe (Hawaii) Naval station, by the British cruiser Achilles, The Coast Guard Hawaii Section, SS. New Zealand, and many others.17 It was also not true that the Coast Guard had better equipment than was available to amateurs. It was definitely the reverse, since the Services were all impoverished, and operating on obsolete radio equipment, while the amateurs had available to them the latest and best there was. 13 Johnson, Clarence L., “Kelly”, Lockheed Co., series of telegrams to Amelia Earhart March 11 and 13, 1937, giving detailed results of fuel consumption tests conducted by Lockheed on the Earhart Electra, with detailed procedures for operating at each stage of the flight, taking into consideration the reduction in load as the fuel is consumed. There were complete schedules of settings for each hour of the flight, giving engine rpm., manifold pressures, cylinder head temperatures (for fuel-air mixture setting) and fuel consumption, with optimum altitude. Miss Earhart, in contrast to her casual attitude toward navigation procedures, was known to be most meticulous about her engine management, and previous flights had adhered closely to the recommended protocols. These were recognized as matters of life and death, involving not only optimum use of fuel, but optimum safety from engine failure. 14 Doyle Alfred M. , U.S. Consul in Sydney Australia, telegram to U. S. State Department reporting Nauru’s records of logging Miss Earhart’s signals, both during and following her flight. 15 Sutter, William L., Capt., US Coast Guard, ret., letter to Frederick Goerner in answer to queries concerning his recollection of the Earhart flight. (Sutter had been radio officer aboard the Itasca at that time) November 23, 1970. Sutter recounts many recollections of the time, and quotes Lt. Daniel Cooper, U.S. Air Corps representative on the Itasca, who made the quoted remark just after the final message was received. 16 Putnam, George Palmer, (husband of Miss Earhart, and promotor [sic] of her flight) Letter to Richard Southgate, Esq., Division of Protocol & Conferences, Department of State, Washington, D. C. Giving specifications of the Electra. It had Wasp Senior engines of 550 nominal hp. which were actually capable of 1000 hp. for take-off ratings on 100-Octane fuel, with which the Earhart flight had been provided. It had tanks for 1250 gallons of fuel, but loaded only 1100 gallons for the Lea-Howland [sic] flight. Its maximum permitted gross weight with full overload was 15,500 lb. but its weight at takeoff is estimated to be about 13600 lb. 17 Because they do not follow the earth’s curvature as lower frequencies do, it often follows that signals on 3100 and 6200 kc. are not heard relatively nearby, but are then heard at great distances because the signals are reflected back down toward the earth by the ionosphere. Radio signals beard during period July 3-5 1937 for which there was good reason to believe they came from KHAQQ, the downed Earhart plane. Hour and day, GMT, (last reported reception from flight 2015/2). 0900-0920/3 Karl Pierson et al8 faint carrier, then code poorly transmitted, “SOS SOS SOS KHAQQ” repeated for about five minutes. Then unreadable code from which “179” and “1.6” were distinguished. 1330/3 Pierson, woman’s voice (which Pierson recognized as that of Miss Earhart, “KHAQQ calling SOS” repeated. 0833/4 Pan American Airways station KNBF, Mokapu5 Oahu, reports “faint carrier on 3105” immediately following broadcast appeal from KGU, (broadcast station in Hawaii) to Earhart to respond with four long dashes. These signals also reported by San Francisco Coast Guard station, and Wailupe, Hawaii, Navy station. 1215/4 PAA station KNBI, Wake Island5 “intermittent phone of rather wobbly characteristics” on 3105 kc. 1437/4 PAA station KNBH, Midway Island5 “weak, Wobbly signal which sounded like a phone” 3105 kc. 1225/5 PAA station KNBI, Wake island, takes bearing of 144 on “very unsteady voice modulated carrier” 3105 kc. KNBF, Mokapu, takes bearing of 215 on the same signal at this time.